The book offers an opportunity to empathize with people in another part of the world. 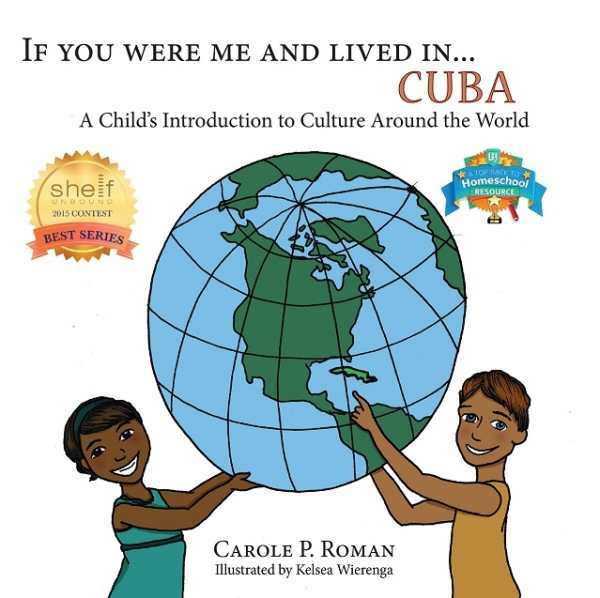 If You Were Me and Lived in … Cuba: A Child’s Introduction to Culture around the World by Carole P. Roman asks children to imagine themselves as living in Cuba. The book explores Cuban culture and offers a wonderful opportunity to explore a new country and way of life. The book shares details about the history, food, celebrations, and activities of people living on this island in the Caribbean. The descriptions of daily life are familiar and relatable and the content is simple enough to expose young children to new ideas without overwhelming them with too much information. A glossary at the back of the book defines a multitude of words, including many that American children may not be familiar with. The illustrations match the tone of the text. They are very simple full-color drawings and appear to be something that children might create themselves. The pictures depict people happily going about their daily lives. The figures appear energetic, and their insertion into photographs of Cuba offers a clear glimpse into what life might be like for the Cuban people. The book offers an opportunity to empathize with people in another part of the world, presenting the information in a unique way. If You Were Me and Lived in … Cuba will help children become more aware of the world around them and understand the differences and the similarities that exist between different cultures. It is a useful resource for learning about culture.